Get out the hankies for this sad, poignant story. Karen, a single mom, has stage four cervical cancer and her six-year-old son, Jacob, knows it. Even though she’s in remission, she’s only been given a few years to live, since the cancer will most likely return. Fortunately, she has a wealthy sister in Seattle, where she and Jake are spending the summer before returning to her job as a political consultant in New York City. It is here, on Mercer Island, that she begins to write a book for her son, sharing their experiences as well as hopes and advice for his future. 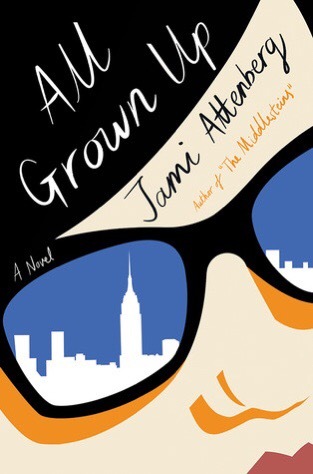 But her placid summer is disrupted when Jake announces he’d like her to find his father. Karen and Dave dated for a short time before she got pregnant, had a huge fight and she never saw him again, but when she reaches out, this man who never wanted children very much wants to meet his son. And Karen is pissed! As her health starts to deteriorate (sob! ), the fight is no longer just against her disease, she is now paranoid that Dave and his new wife will try to take Jake away from her, while trying to stay relevant at her job with a candidate who is turning out to be a big fat sleaze. Karen finds catharsis and insight through writing her “history” with her son, which she comes to realize is a map for the man she wants him to be, and allows her to overcome her fears and do the right thing. “What to do” seems to be the lead about anyone at the center of gossip in a kibbutz in Israel. Patriarch Yakov has decided his children are spoiled rotten and he’s not supporting any of them any more. Since the Solomon family stretches to New York and Los Angeles, this is bad news for youngest son Marc and his American wife (and former prostitute…!) who are under investigation by the Feds. 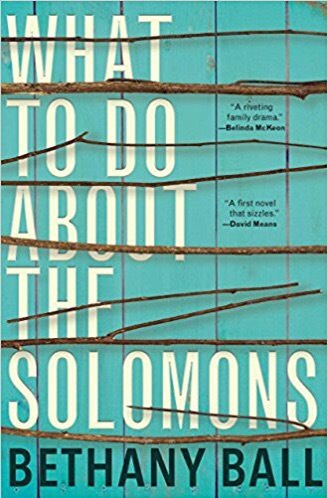 His sister, Shira, a failed actress has a son with questionable lineage, and other siblings and longtime kibbutzniks who round out this greedy, calamitous clan. The story is described on the book jacket as “hilarious,” but I don’t know about that…dark and dysfunctional is more like it as we learn about the Solomons, but that’s not a bad thing. 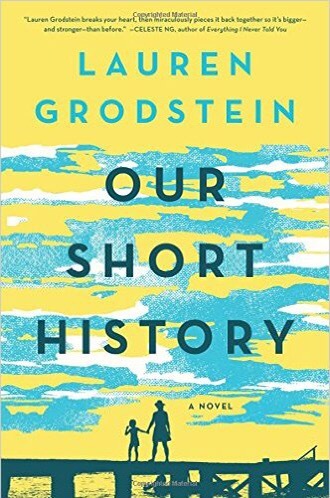 I have to admire a debut novelist who can keep such a steady pace and introduce so many characters with complicated pasts and storylines without things getting too muddled. In the end when the Solomons all come together nothing ends too rosy for any of them but that’s probably what makes this family, and the story, seem so real. So… I wasn’t sure I was going to like this one. Andrea is in her thirties and has made some pretty bad life choices. She dropped out of grad school leaving behind her beloved art, her love life includes a string of unappealing boyfriends and she’s pretty much a functioning alcoholic. At first I thought oh boo-hoo, you have no interest in marriage, a decent job and live in New York City…grow up! Pretty much the point of the title, right? As the story progresses Andrea begins to let go of her narcissism and realize other people’s seemingly perfect lives are far from it. She begins to appreciate her mother and not blame her for the many struggles they endured after her junkie father died. She recalls what prompted her to leave art school (was it really her one true love?) and as much as she tries to avoid it, has to take a good look at her beloved brother’s troubled marriage due to a very sick child, and people with REAL problems. Told in vignettes throughout her life we see broad stokes later detailed into a more complex life that makes sense. Glad I stayed with it.